For 20 years, L.A. hip hop duo People Under The Stairs have remained a fiercely independent anomaly in the genre of Hip-Hop. With their final album, Thes One and Double K bookend a celebrated career with an ambitious full length – an LP that captures the unique spirit of the previous 11 releases while weaving together an emotional farewell to the fans. 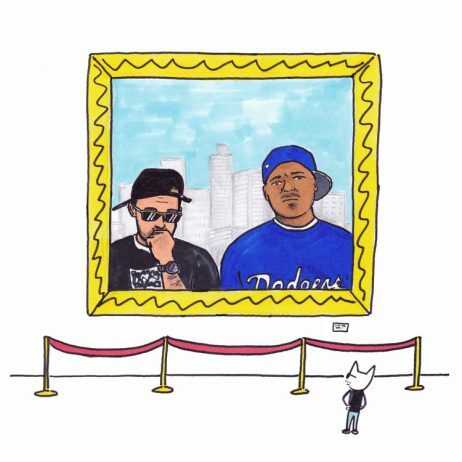 Entirely self-produced, self-recorded and sans features, PUTS hold true to their unique formula while pushing boundaries with a cadre of instrumentalists to supplement the P’s trademark dusty beats and breaks. The resulting album blurs lines between samples and playing yet feels familiar – a deeply personal take in a genre that often skirts emotional truth. Sincerely, The P, is a fitting farewell and final celebration of LA’s most respected underground duo. FORMAT: Deluxe gatefold 2LP; rare ‘galaxy swirl’ colorway in yellow/black and blue/ black; autographed photo of Mike and Chris and download card inside containing 15 mins of music not on digital album or CD. Limited edition.